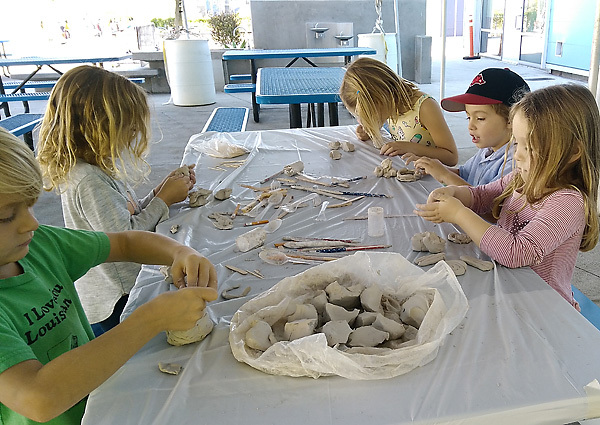 Transitional Kindergarten and Kindergarten students attend their last (for this session) clay class through the City of Santa Monica’s CREST Enrichment program…after school classes held at a variety of Public Elementary Schools in Santa Monica. I have taught the students the basics: Pinch, coil and slab techniques. They have created vessels, masks, animals, and more. During this class I demonstrated how to create a small plate, platter or candle holder that could be given as a gift for the holidays, and beyond. And then, these talented tykes took off with their own ideas! 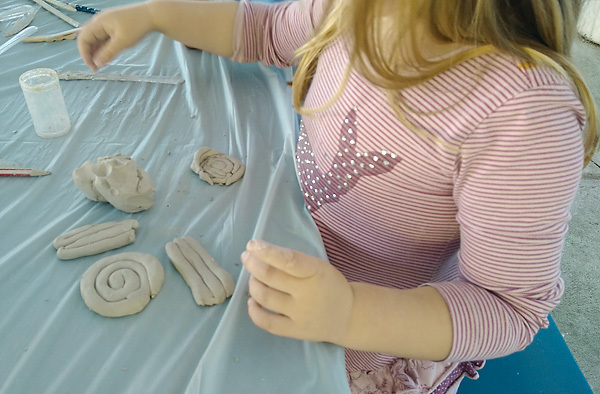 Small hands are developing the strength and dexterity to form rough balls of clay and roll out coils from them. 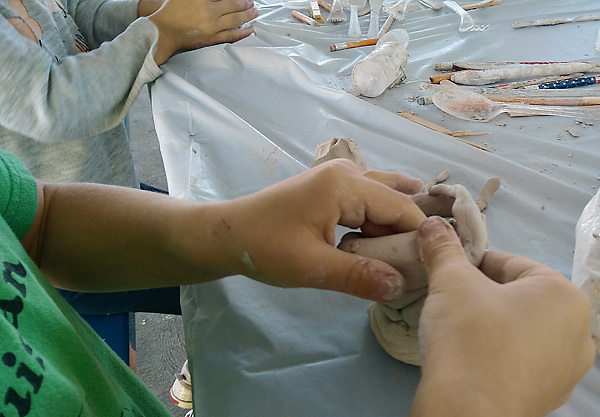 Sometimes i help this age group along by breaking up clay (air dry in this case) into sections for them to work with. This little artist with a big personality has really progressed in her coil making. She created a piece by putting together numerous tiny coils. 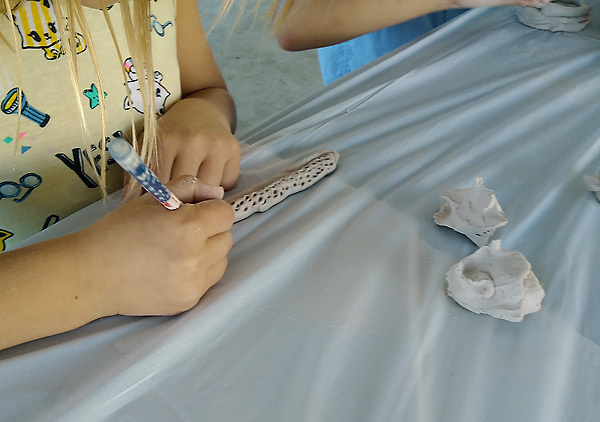 This young maker recently turned five, and is mastering the coil technique! 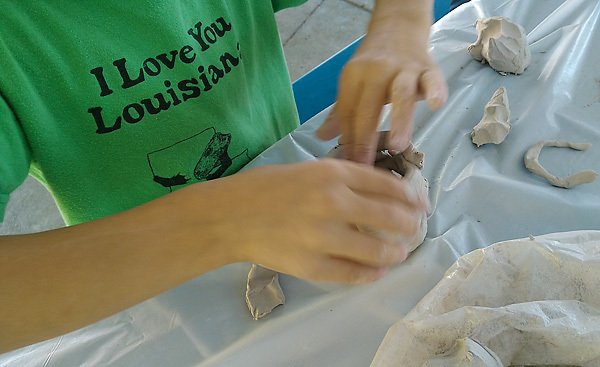 Mark making in the clay using various tools. These kids amaze me. She saw a brief demo and then just took off creating these textures and designs herself. 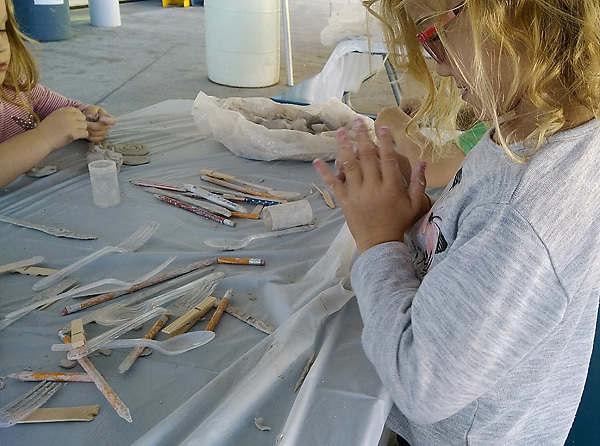 Our tools are sourced from simple household items…popsicle sticks, pencils, plastic cutlery, and wood clothespins and toothpicks do the job, and teach the students how the simplest object can be transformed into a tool that becomes and performs magic! Much talent abounds in them. 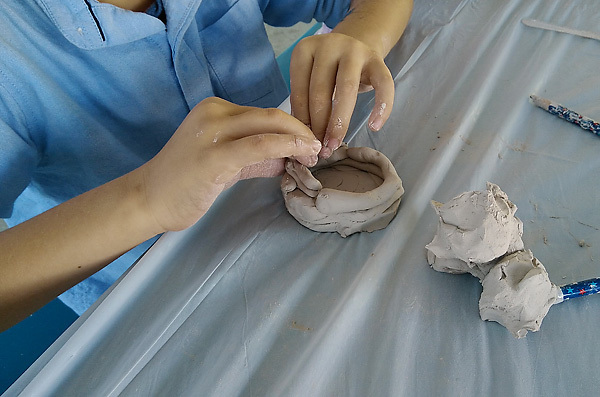 It is a joy to see, encourage and develop their skills and artistic voices, even, and especially, at this age!